Tough economic conditions and the need to look after scarce staff resources may seem to be at opposite ends of the financial management spectrum. How do you tell staff you really appreciate them while cutting back on expenses? Companies like IBM in Australia found out to their detriment that staff don’t take kindly to cuts in their working environment – key staff either moved to other companies or kept to strict working hours by not taking work home or arriving early and leaving late… as many of us do! We say no! 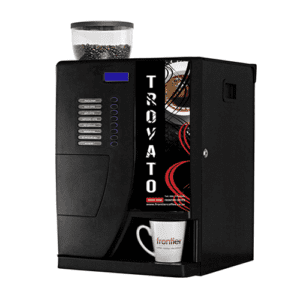 It is both the settings of the coffee machines and the ingredient quality that matter. So many coffee machine suppliers just do not get this right! They don’t understand what a good coffee should taste like because for them “it is just a job”. You need to appreciate coffee to care enough to make sure that others have great coffee. It is a quest! At Frontier Coffee we care. We care that your costs must be managed and that your staff have good coffee. We manage these conflcting aims by buying carefully – constantly looking for value from our coffee machine and coffee consumables suppliers. We then manage our own operations for maximum efficiency and employ great people who understand coffee. Coffee machines are not just coffee machines but part of an integrated system of good set-up, accurate measures and quality ingredients. Your coffee machine supplier needs to add that to great service with on-time delivery and “right-first-time” repairs. You’ll readily know that their claims to offer just that are true when you look at their client list and how long they have kept those customers. You see, customers vote with their feet, so too expensive or poor quality… and they are out! It’s not really difficult then to keep your staff happy, save money and have a company supply you with great coffee machines and ingredients…oh, and who will be there when you really need them to clean, tweak and repair your coffee machines!